The earlobe repair procedure at our Pittsburgh, PA, practice is designed to correct torn earlobes of gauged earlobes. The usual recovery time is 2-3 days. 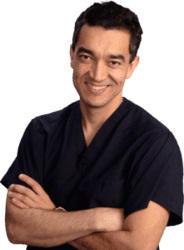 Trust your earlobe repair procedure to the best-reviewed plastic surgeon in Pittsburgh. 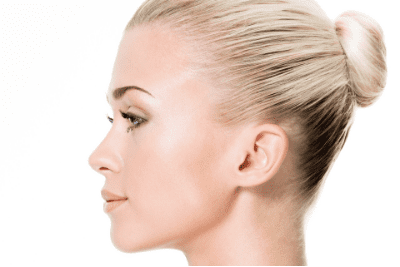 What is Earlobe Repair procedure? 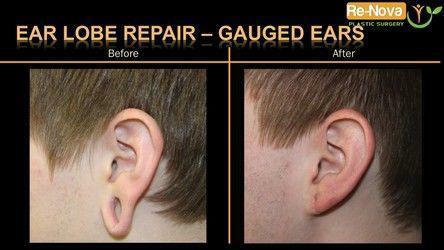 Earlobe repair is the improvement of torn earlobes or gauged earlobes that were dilated, altering the original shape. This procedure is done in our Pittsburgh, PA office under local anesthesia. The duration of the procedure is about 1.5 to 2 hours. It is done as an outpatient procedure. Can I plan on doing the surgery 1 week prior to any trips or events? Definitely NOT. 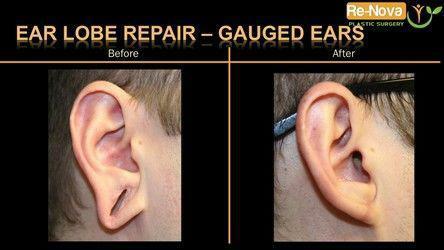 Earlobe repair is a very well tolerated procedure. However, it will leave bruising and swelling that will be present for 3-5 days. Plan ahead if you are planning on this surgery. The answer is yes and no. When doing your earlobe repair, we will use absorbable stitches. Despite the use of ointments and massage, we will need to remove some of the remaining stitches that did not fall or disappear. The typical cost for Earlobe repair surgery near Pittsburgh, Pennsylvania ranges from $300 - $2,000.